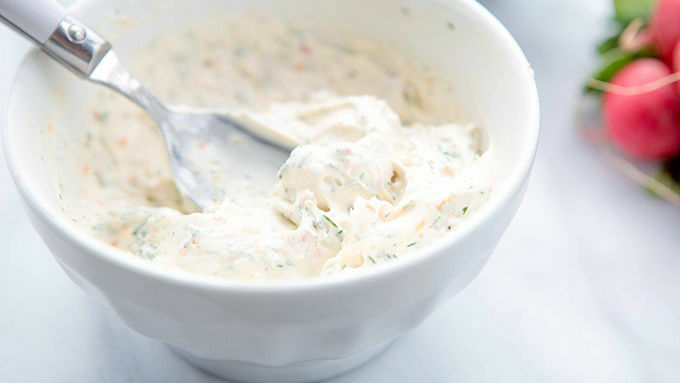 In a small bowl stir together cream cheese, carrot, dill, celery salt, garlic powder, onion powder and pepper. Transfer to a plastic icing bag. Snip a small portion from the top of the bag. 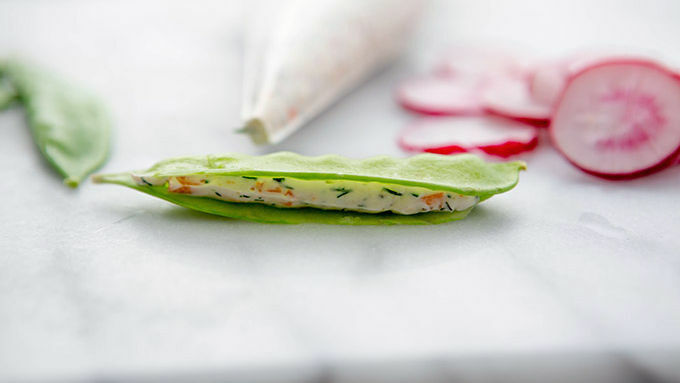 With a small, sharp knife, place snap peas on their side and gently cut along the top edge of the pea to open it up. 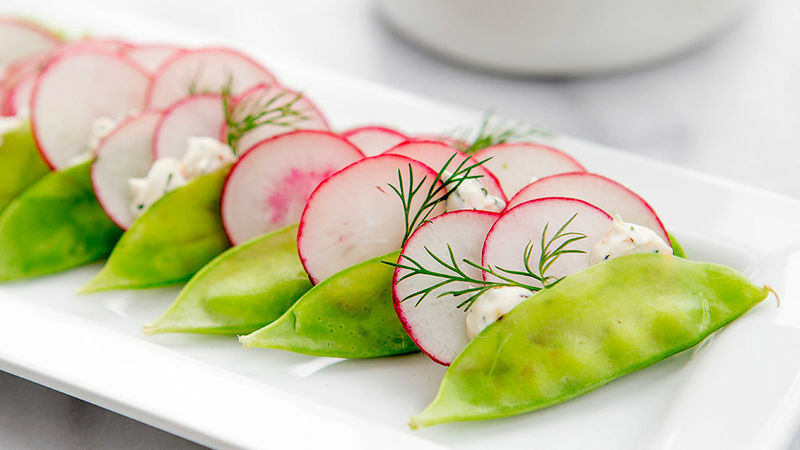 Pipe a small amount of cream cheese mixture into the bottom of each pea, press 2-3 radish slices into each pea pod. Garnish with a small sprig of dill. Place on a serving platter and enjoy. Growing up in the tiny town of Hooper, Utah doesn’t seem very glamorous now, but when I was a kid, I thought it was magical. Every year, my mom would hold my hand so I could reach over the edges of the irrigation ditch by our home where wild asparagus grew. I’d lean and pick the long stalks, which mom had said were a springtime gift. And so, I believed such. Nevermind it was an irrigation ditch. Nevermind the whole thing now gives me the giggles. At the time, it seemed like a wondrous miracle—those springtime stalks growing up tall and green, ripe for the picking. Around this same time, our meager garden started sprouting round red eggs. Radishes. Spicy hot and crunchy, mom welcomed them into the world like some great gift. My tiny tongue reeled at the flavor. The afterburn of a bite, like an accidental dollop of wasabi on a sushi roll, stung my nose for what seemed like days. Though those simple memories have long since been replaced by cozy trips to the farmer’s market in a buzzing, beautiful city, lazy walks through the well-lit aisles of health food stores and happy online shopping in the organic section of favorite websites, I still can’t help but tie springtime to the arrival of asparagus and radishes. And nowadays, I love both more than ever. Especially radishes. While hunting for a simple snack idea for a casual weekend party with girlfriends, I was determined to create some fresh snackables that spotlighted the garden-kissed flavors of Spring. Peas, radish, dill, carrots. All flavors that seemed complementary to my biteable bouquet. Quick, simple and so much easier than picking asparagus from a ditch! I’m so wildly in love with these little garden snackables. When I served ‘em to the girlfriends at this weekend’s brunch party? They ooh’ed and ahh’ed and exclaimed, “So spring-timey!” And truly, they taste just like it. So good.